I was invited to check The Barre Code last year, here is my review on their facility. This Thursday from 7:00 PM to 8:00 PM they've teamed up with LC Middletown for a fun Fall Event! Class will be 30 minutes long of Barre Code, followed by 30 minutes of yoga! All levels are welcome. So much to celebrate as they partner with LC Middletown. 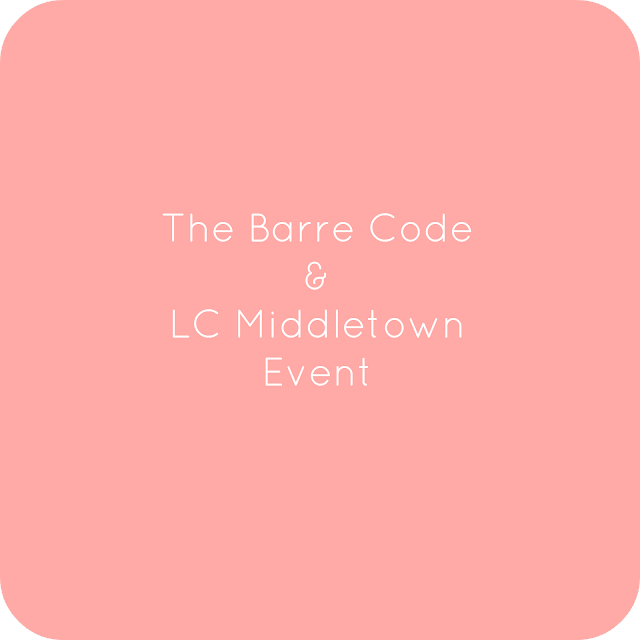 This will be our wrap up celebration for our #BackToSweat2018 challenge and we will be sharing some exciting things we have in store for The Barre Code Louisville! There will be special giveaways along with drink specials (1/2 price bottles of wine) at The Goat post class. Mark your calendar for Thursday, October 11th at 7:00 PM. Event is FREE! BYO Mat. Totally free event! Have fun!